Yes, they are both heroes, on screen and off; yet Dane Pierce and Cory "Mac" Mackendall are as different as cognac and Perrier, and starlet Jessica Taylor loves them both. It doesn't take her long to decide that despite his tantalizing green eyes and raw sexuality, Dane is not the man she needs. It is the solid and devoted--if sometimes hot-headed--Mac who wins her hand and her heart, and who must endure a lifelong challenge to keep that heart safe from Dane's unending pursuit. 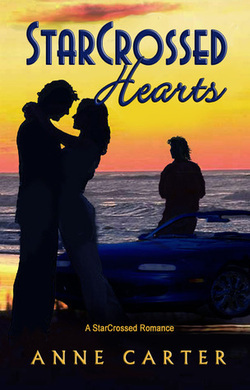 From Hollywood soundstage to the Grenadine Islands, Starcrossed Heartsmakes a journey not only around the world but also through the lives of some very real characters you will not soon forget.